Ultra Light Duty Onboard Air System can be used to pressurize the included 1.0 gallon air tank for air horn use, off road air locking differential use, and a host of other light duty pneumatic needs. While not intended to inflate tires, this onboard air system provides a reliable smaller volume, in a cost effective package. Onboard Air Systems (OBA) are complete pneumatic systems intended to accomplish various tasks, depending on the kit selected. 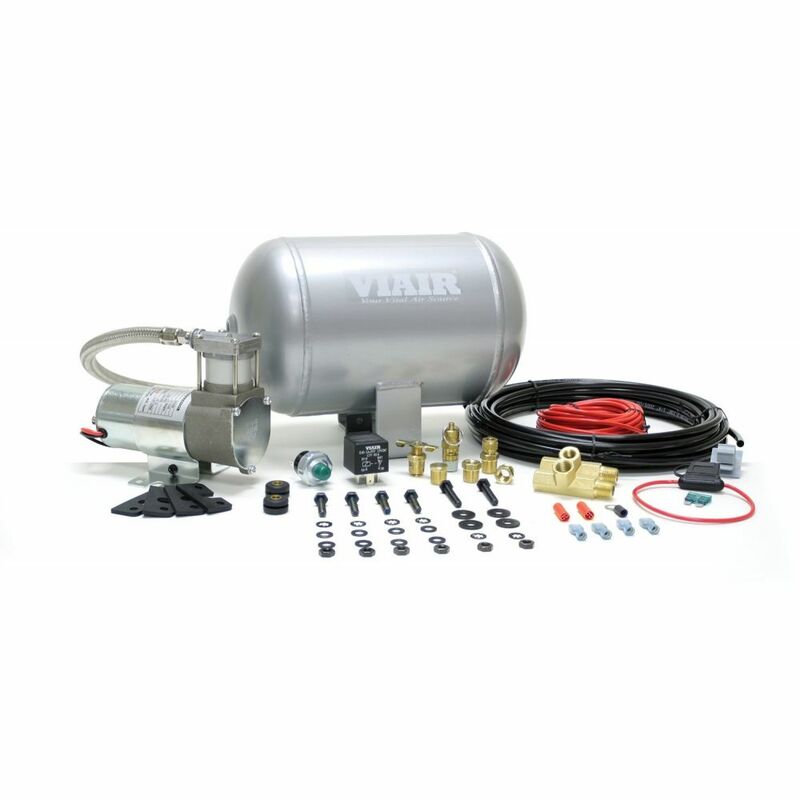 VIAIR offers OBA systems for smaller compressed air requirements that have a shorter duty cycle need, as well as other systems that provide up to 100% duty cycle and increased air volume by providing a larger tank for compressed air storage. Each Onboard Air System comes complete with compressor(s), air tank, fittings, pressure switch, relay(s), electrical connectors and all applicable accessories.